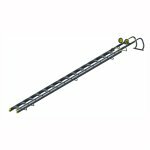 Optimum weight frame for ease of positioning with no compromise on strength. 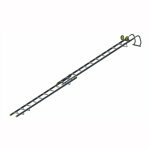 The Werner Double Section Roof Ladder 4.89m has an optimum weight frame for ease of positioning with no compromise on strength. 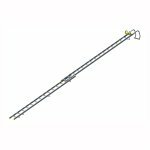 Fitted with a heavy-duty roof hook with large non-slip rubber end bar for a superior apex fit. 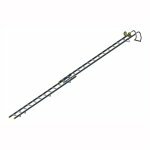 Heavy-duty locking catches and non-slip rubber sleeved support bars for roof protection. Large wheels for easy manoeuvring on roof. Compact for easy storage and transportation. 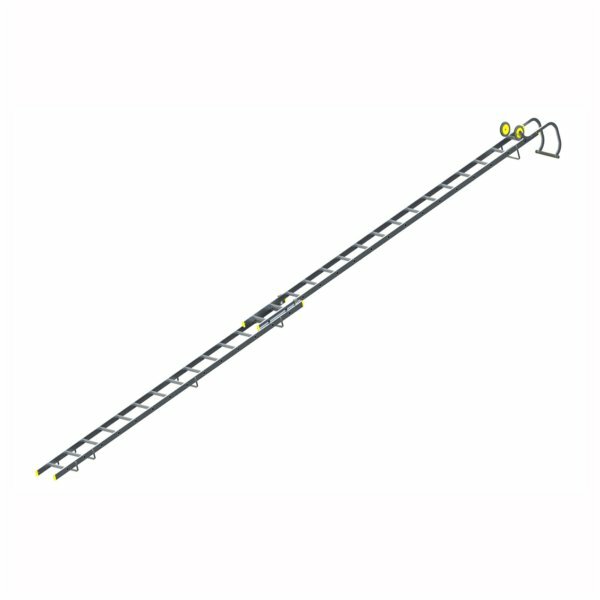 Overall length 8.25m.